On Saturday, April 18th, Finca restaurant will host a wine dinner featuring the wines of Spain's Bodegas y Vinedos Alzania with winemaker/owner José Manuel Echeverría in attendance. Says Finca owner Scott Evans, "I first met winemaker and owner José Manuel Echeverría and his family while visiting different vineyards in Spain about five years ago. He and his wife, Maria Seanz Olazabal, both come from wine-making families and spent many years working in other vineyards before starting their own vineyard and winery in the Navarra region of Spain." "Bodegas y Vinedos Alzania stood out immediately for its remarkable, small production wines. José Manuel is very precise in his wine-making and runs a meticulous winery and vineyard. He’s also a great cook and a lovely host, and as we sat together talking, sharing dinner and tasting and discussing each wine, I knew I wanted to feature several of the Alzania wines on Finca’s regular wine menu and, if possible, bring José Manuel to our great Salt Lake City. This is the second year we’re lucky enough to host him to share his wines and his story with us in person during one of his few stops on his tour in the U.S."
Finca Executive Chef Phelix Gardner, Chef de Cuisine Dallas Olson, Sous Chef Carter Light and their team are offering a special five-course tasting menu to pair with five Spanish wines from Bodegas y Vinedos Alzania. Dishes include Tempura Calcots (green onions) with romesco buerre blanc and cracked black pepper, Hominy Risotto with spinach, raisins, pine nuts, and Moroccan Spiced Spring Lamb (rack) with smoked vanilla and stone fruit chutney, and couscous. 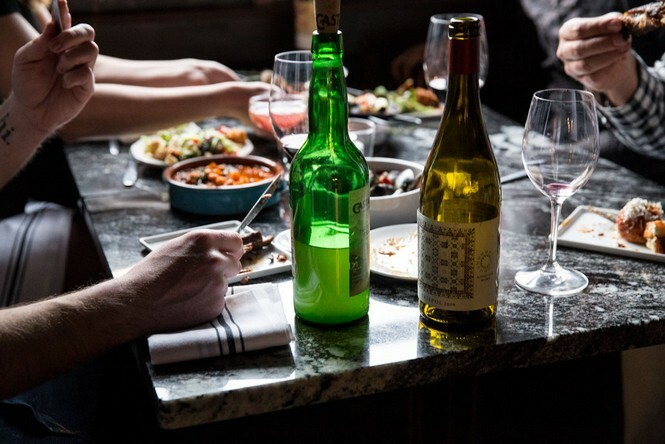 The menu will be paired with five Alzania wines, three that are available in Utah and two wines special ordered for Finca (2009 Alzania Syrah and 2007 Alzania 21 del 10) to share at this wine dinner. The tasting menu is $45 for food and $45 for wine pairings, plus gratuity. RSVP for the Finca Alzania wine dinner by emailing evan@pagoslc.com.